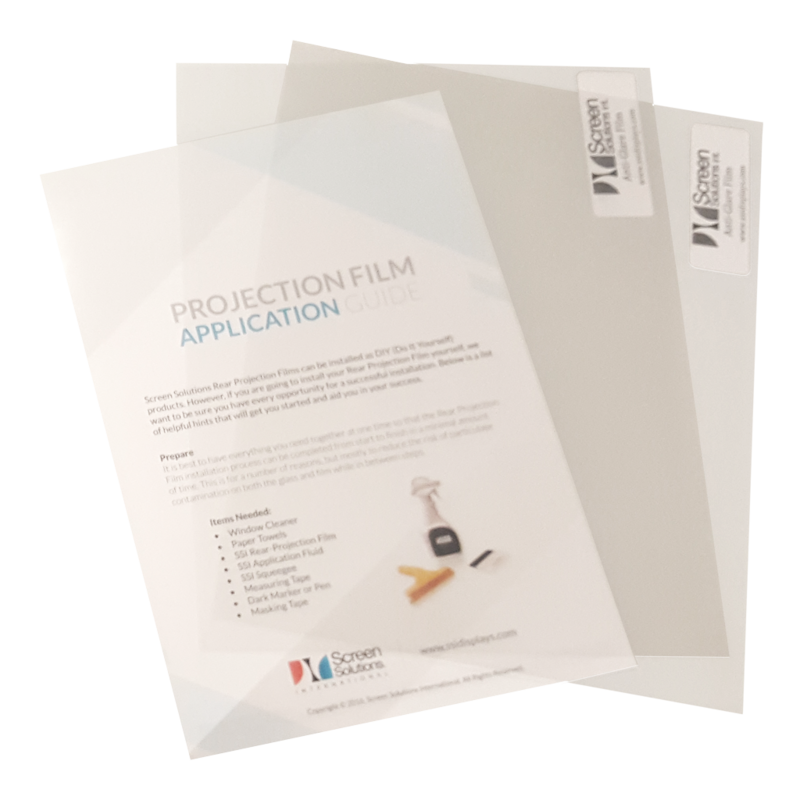 Purchasing anti-glare film samples is a great way to test our films in your specific location. We offer two sizes of samples: Standard (8″ x 10″) and Large (10″ x 18″). Please pick the sample package that best suits your needs. Standard Sample Pack* includes: Standard and Ultra-Clear Anti-Glare film (8″ x 10″). Standard Sample Pack (w/ Mini App Kit) includes: Same film as above, with a mini application kit. Large Sample Pack includes: Standard and Ultra-Clear Anti-Glare film (10″ x 17″). Limit one per customer. Call for additional samples and sizes. *Our free standard sample packs are usually cut from leftover pieces of film. This may result in slight imperfections or not being cut to exact size. Not sure about anti-glare film? Just pay shipping to receive some anti-glare film samples, and see for yourself how effective our film is on reducing glare for your displays!